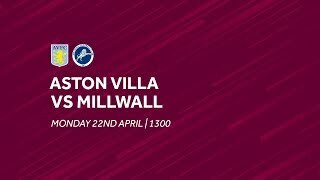 Villa will hope to capture three points against West Ham - and AVTV find out all about the art of detention in the pre-match show. It's a preview programme with a difference this week as our online television channel looks ahead to Sunday's game. Check out our pre-match show now. Jack Woodward is joined by security chief John Handley. 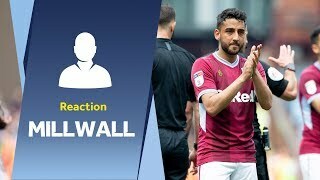 Villa's gentle giant explains his role on gameday and that of his team of staff. Woodward and Handley visit a variety of locations, including one you certainly wouldn't want to see during a trip to B6. As well as the control room, Handley shows us the 'matchday cells' - or the detention rooms as they are more commonly known. These are the areas troublemakers are taken if they are caught misbehaving at the ground. Woodward takes a look inside one - and we can't confirm if he's still in there now! We are also joined by Karim El Ahmadi on the show. He says it would be great to gain revenge for the opening day defeat at West Ham in which he made his debut. The midfielder is eager to stay in the team after starting at Everton and also wants a home victory to bring joy to the claret and blue masses. We dip into manager Paul Lambert's pre-match press conference too. He says he's encouraged by the performance at Everton and pleased with the displays of winger Charles N'Zogbia. Gary Gardner may be injured at the moment but he's very much involved within the claret and blue camp. 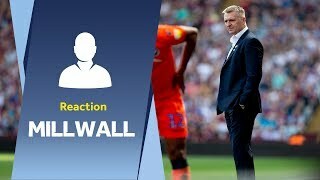 The avid viewer of Villa games gives us an injury update and previews the match against the Hammers too. He thinks Villa have the belief, togetherness and quality to turn the corner. To finish off, we have goals scored against West Ham at Villa Park over the years including efforts from Emile Heskey, James Milner and Stiliyan Petrov.